It is freezing here today so I thought I would share one of my favorite (and easy) recipes to warm you up! David and I love eating this for breakfast in the morning. It just takes a 1/2 a cup of rice and seems to last us several days. It's especially great if you're like us and get sick of the usual eggs and toast everyday. 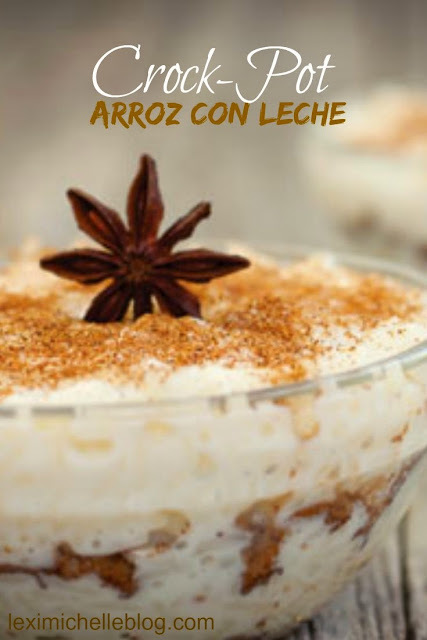 Not only is this arroz con leche delicious, but this version is made in the crockpot so it is extremely low maintenance. Most recipes for this require constant stirring in a saucepan (something I don't have time for as a busy SAHM). Place all ingredients in crock pot on low heat, stirring occasionally. It is done when milk has been mostly absorbed and rice is soft (roughly 3 1/2 hours). Enjoy! **remove the cinnamon stick pieces when finished and sprinkle a small amount of cinnamon over top if you want.